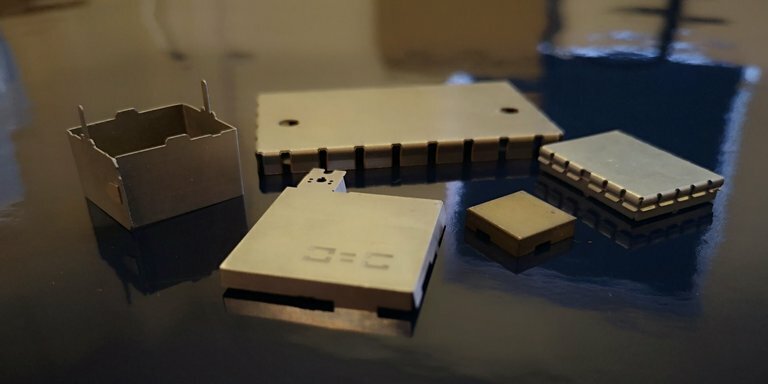 Chemical Milling is well established as an ideal solution for EMC (Electro Magnetic Compatibility) challenges, by providing a quick and cost effective method for Electro Magnetic Interference (EMI) shielding and RFI (Radio Frequency Interference) shielding. Etch Tech provide cost effective specific designs in very short time scales, so board level shielding does not have to be compromised by the use of "standard of the shelf" products. We can work to exact requirements, for example single piece cans, two part fence and lid designs, tear off lids or multi compartment types. All are available in “through hole” or “surface mount” variations. We can also surface etch the part number or company logo on to the part at no extra cost. The same Etch Tech technology used to produce the identification marks can also be utilised to surface etch "folding lines" , allowing the screens to be formed without the need for expensive form tooling. This saves costs and also enables parts to be supplied flat for hand folding at your chosen manufacturing site or supplied as fully formed items. You can specify your base metal, including Nickel Silver, Copper, Copper Alloys, Mild Steel, Stainless Steel and Mu Metal (Hymu 80) either plated or in the natural state. 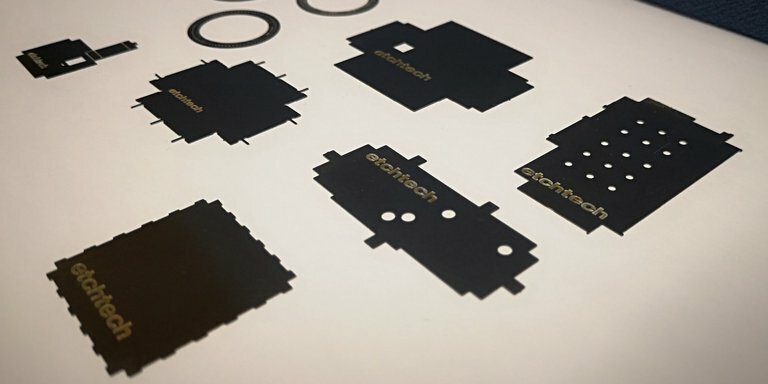 Where size constraints limit the size of shielding used, Etch Tech have developed the 'Prosafe' system which allows either selective or total insulation of the specified surfaces or areas. Our sales team are always available to discuss your requirement in full either at design stage or further along the development process when it becomes apparent additional insulation is required. Please see picture above, the blue layer is where the 'prosafe' system has been applied to prevent components from shorting out. 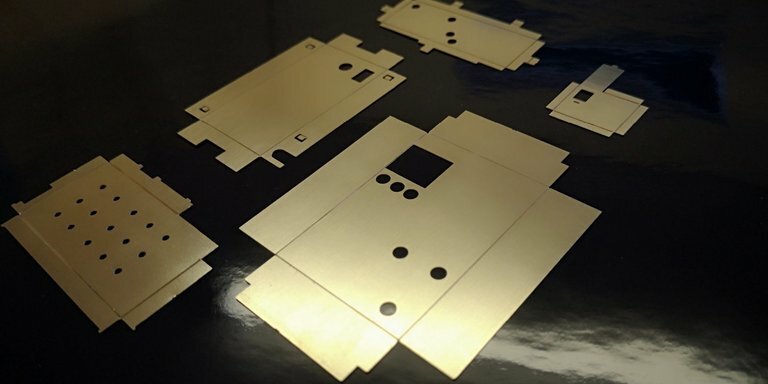 Whilst enclosures and board level screening account for the majority EMI/RFI Photo Etched products, Etch Tech are equally experienced in manufacturing contact strips (finger strips) usually from Beryllium Copper or Phosphor Bronze. 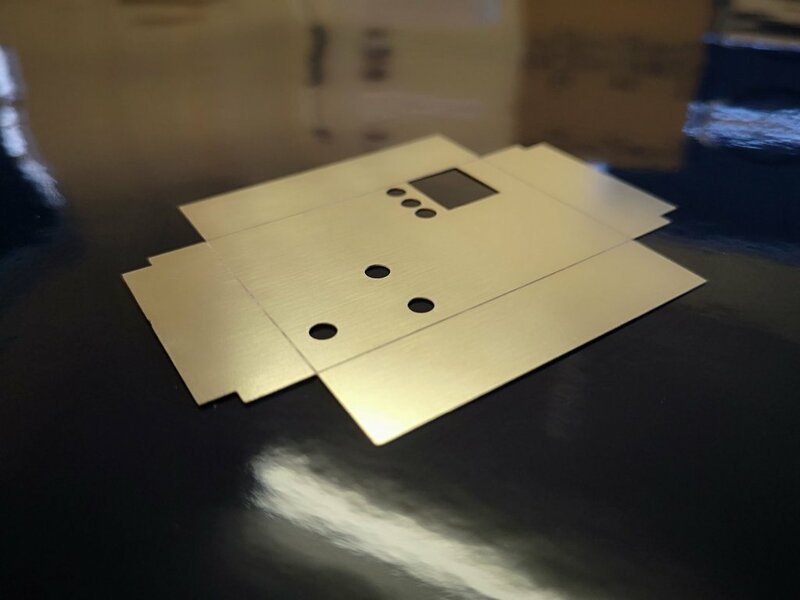 Etch Tech are happy to discuss your exact requirements for prototype through to production quantities, either by telephone or at your preferred location. We are able to accept your drawings as electronic files, including dxf, dwg, SolidWorks, STEP, IGES, ProEngineer and PDF. 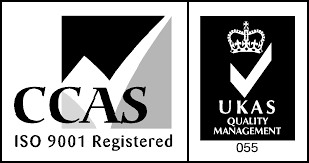 We can also work from your dimensioned hard copy drawings. 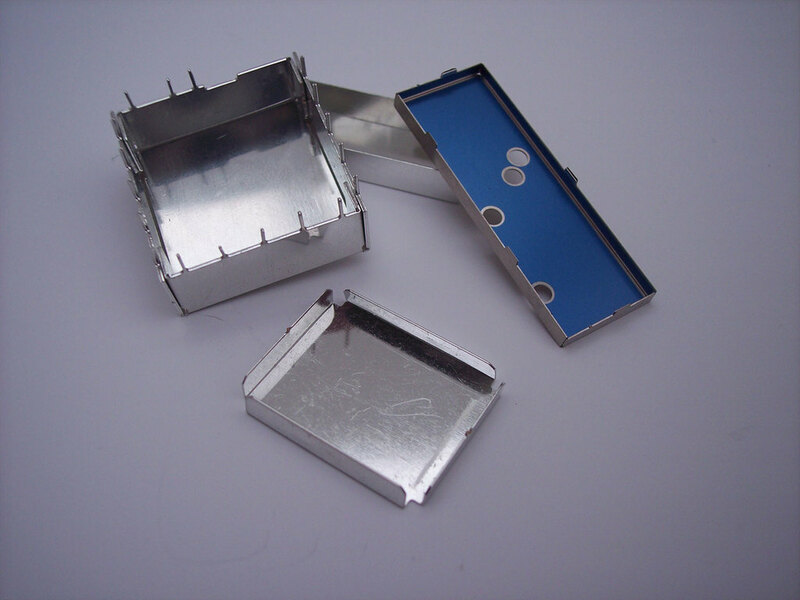 We have many variations of standard screening cans now availble to our clients please click to the right to see more. The Photo Etching process in place at Etch Tech Ltd is capable of etching extremely fine detail into metal. We have extensive experience working closely with customers to offer improved design tolerances on our EMI / RFI Shielding. Please contact our design engineers so discuss your requirements.